And mine also Reena!!! I used to visit here a lot in the summer, when I lived in New England. This is just beautiful. I love the colors of this photo! Beautiful! Gorgeous shot! I haven't been there in years. Luckily we have some pretty spectacular sunsets on the coast where I live too. wonderful sepia-like image. very serene. So beautiful! Maine is a place on my bucket list that I want to visit. Great shot...I love the Maine coast! Lovely sunset.... or is it the sunrise? 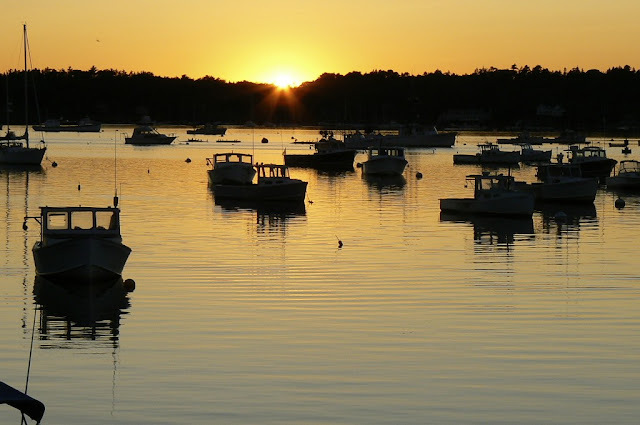 Beautiful sunset shot of the harbor! So serene.